Share the workspace project by inviting your team. If you want to share the whole workspace project, including folders, then this is only possible over a team invitation. Click the team Icon in the powerbar. 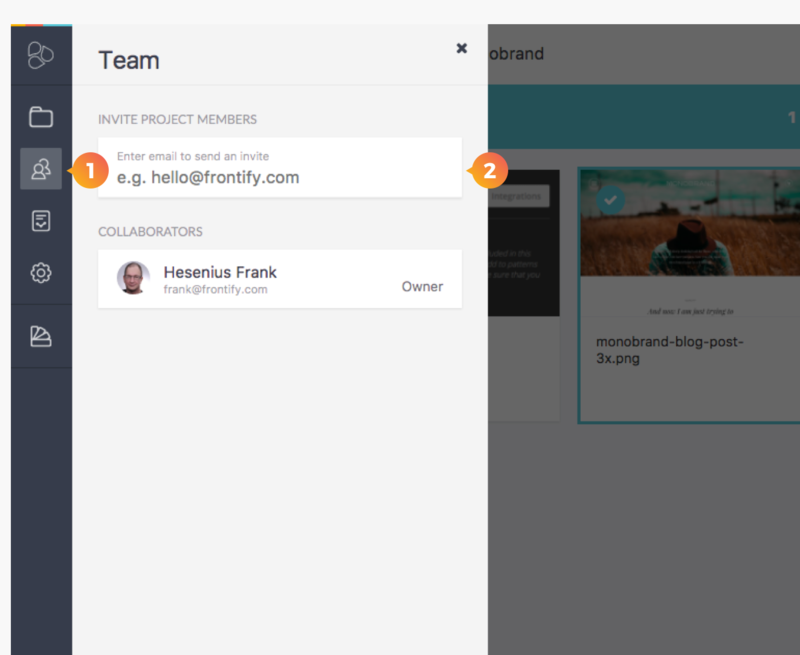 Fill in the email address of your team member. Insert a message. (Not obligatory). Set a role for your colleague. (Reviewer, Editor or Owner). You can give him permissions to view your Style Guide by activating the switcher. You can grant access from a date to a date. Click on Temporary access to set the date details. 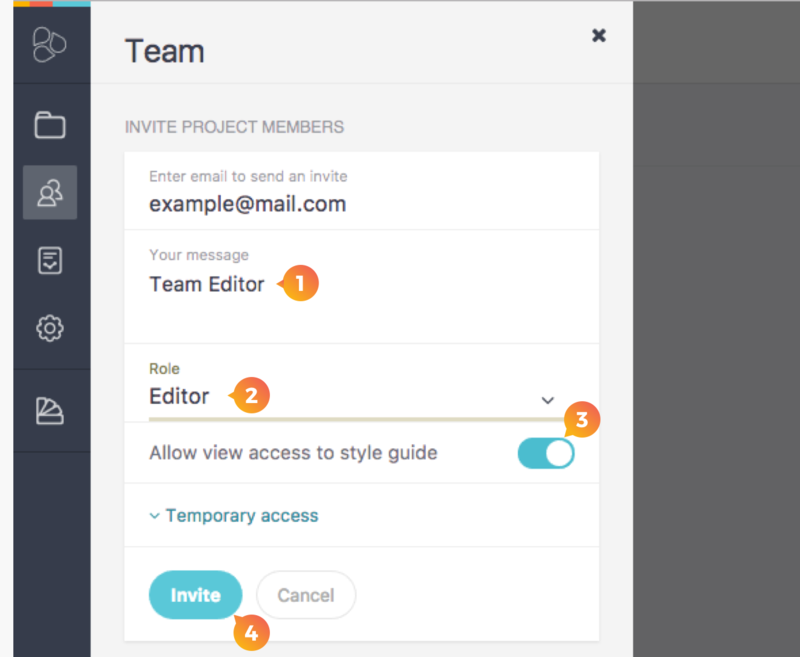 Click invite and a mail will send to your team member.